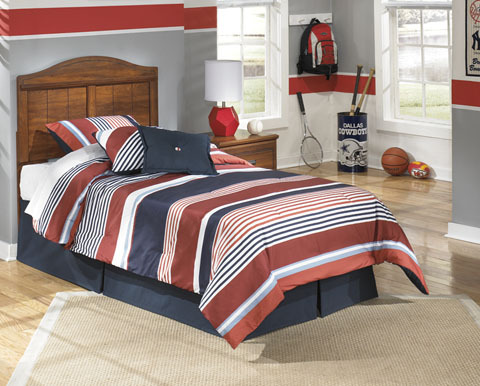 The rich rustic look of the finely crafted “Barchan” vintage casual youth bedroom collection features a warm brown replicated Timber Cherry grain that beautifully accents the half round bead frame detailing and the vintage aged copper color finished hardware to create a bedroom your child will enjoy spending time in. 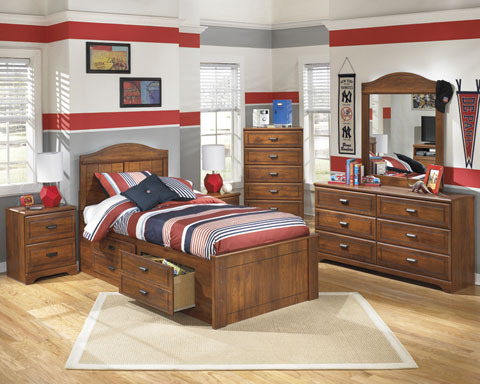 Of all the furniture stores in Sevierville, TN , Ogle Furniture has the best selection of the SIGNATURE ASHLEY- ITEM #: B228-BEDROOM SET. This item may also come in various sizes, styles, or colors. Please ask one of our representatives if we have the specific color/style you are looking for.